CARBONDALE, Ill. — International experience has proven to give students increased self-clarity and creativity for personal and professional success. That is one reason Southern Illinois University Carbondale has partnered with a university in India to train the next generation of economic leaders. 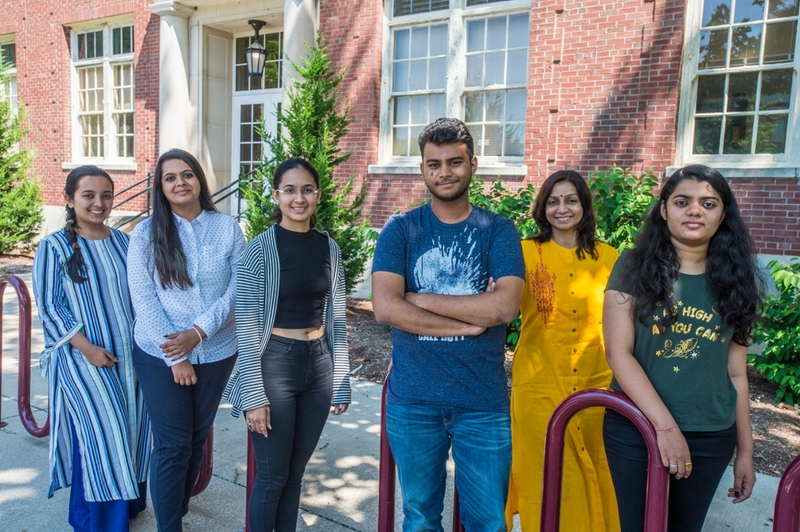 For the second year in a row, students from Pandit Deendayal Petreoleum University (PDPU), Gujarat, India, have come to SIU to experience American culture, understand international economics and learn new things. The four-week program offers Indian students a variety of activities and classes to provide new perspectives and a chance to grow in international economics. This summer, five students and a chaperone from PDPU joined the program with the goal of branching into new things. The students take economic classes with Kevin Sylwester, SIU professor of economics and director of graduate studies, with the goal of understanding international economics in a unique way. But while these classes are a key part of the program, the focus remains on cultural experience and new perspectives. The classes are built as twice-weekly lectures, with the goal of encouraging lively discussion on economic issues and providing the students with new perspectives, Sylwester said. Nearly every day the students engage in some outside-the-classroom activity to get a real taste of everyday American culture. The group has taken day trips to St. Louis, met with Carbondale police and city officials, watched fireworks and joined Independence Day celebrations and attended several other events. Each students is also assigned an American conversationalist partner to add a deeper layer to the cultural experience. The combination of culture and study is what motivated many of the students to join the program, Urmi Satyan, group chaperone and PDPU assistant professor in English literature, said. Elisa Hunt, program director and assistant director for the Center for English as a Second Language, believes the balance between training and experience will prepare these students well for the future. “The idea is that they get some class time, they actually get SIU credit for their class, and then they also get familiar with the area and familiar with the culture,” Hunt added. The program is a collaborative effort of the SIU Center for International Education, SIU Center for English as a Second Language and the SIU Department of Economics. Provost Meera Komarraju first made the connection with PDPU, and has since been involved in the overall function of the summer program. In the future, there is potential for even more development. Several of the students who have come from India have plans to return to SIU to study in the future. Additionally, a further partnership might be available at some point for SIU students to travel to PDPU for a similar program.